What is smartphone software development? 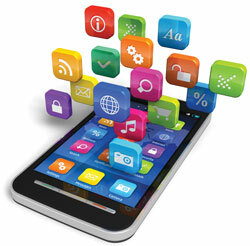 Smartphone software development means developing software for mobile devices. Although you may think that this industry was born with App Store and Google Play, the truth is that it has started way before that. However, thanks to these 2 platforms, the apps market has become extremely popular, and right now the apps development boom doesn’t seem to stop. Why develop software for smartphones? The success of some has inspired others to venture into the task of apps development, but few are realizing that success doesn't come over night, and you have to work for it. A major advantage for anyone who wants to get involved with apps development is that apps are very popular nowadays, so it's easy to develop and distribute them. Also, there are many options to choose from: 2 major platforms and at least 3 others, that may prove to be a great investment for the future (Windows Phone, Blackberry and the new Firefox OS). Another advantage is that if your app has a certain degree of success, many users will be interested in your next applications. The downside of smartphone software development is that only a select few manage to release a successful app. Most users expect the software to be free, so if you want to release a paid app, you must be sure that the app is of high quality and answers an existing need. There are other impediments as well, such as: resolution, hardware limitations and the multitude of phones available on the market. Also, because there are hundreds of thousands of apps, there is a great chance that your "killer app idea" was already implemented by others. What if I want to get involved into apps development? Yes of course, involving into app development the user interface is very important: how it feels, how it looks, how natural it moves, loading time and last but not least-stability and consistency with the platform's requirements.